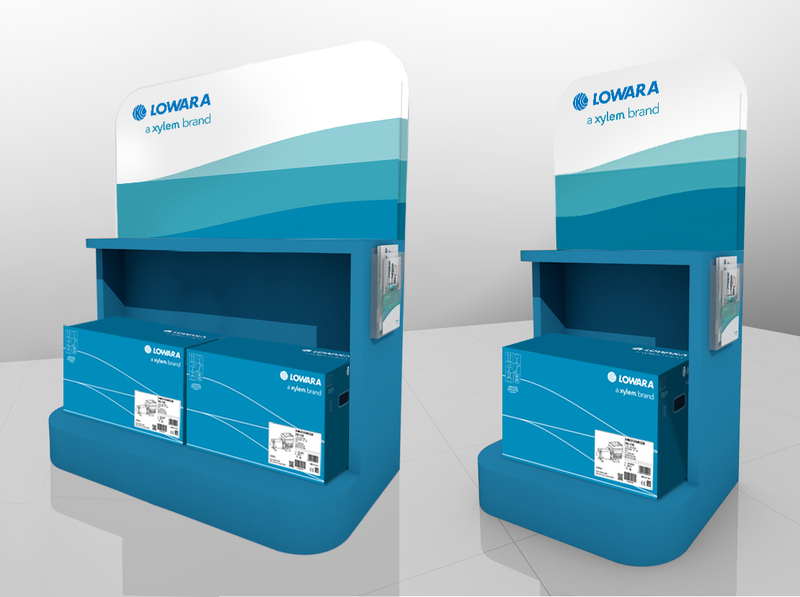 Product Displays | Xylem Inc.
Point of sale display solutions for the wholesale channel include holders for flyers and promotional materials, and are designed to house multiple combinations of products. The wooden displays are easily positioned and used by the wholesaler, and feature the familiar Xylem wave graphic along with white space at the top of the display, offering eye-catching positioning for the product brand logo. The Xylem Blue color is less susceptible to dust and dirt compared to lighter colored displays while maintaining consistency with Xylem packaging. The displays are available in two sizes. The small size measures 1m x 2m (39 inches x 79 inches), and the larger display is 2m x 2m (79 inches x 79 inches). 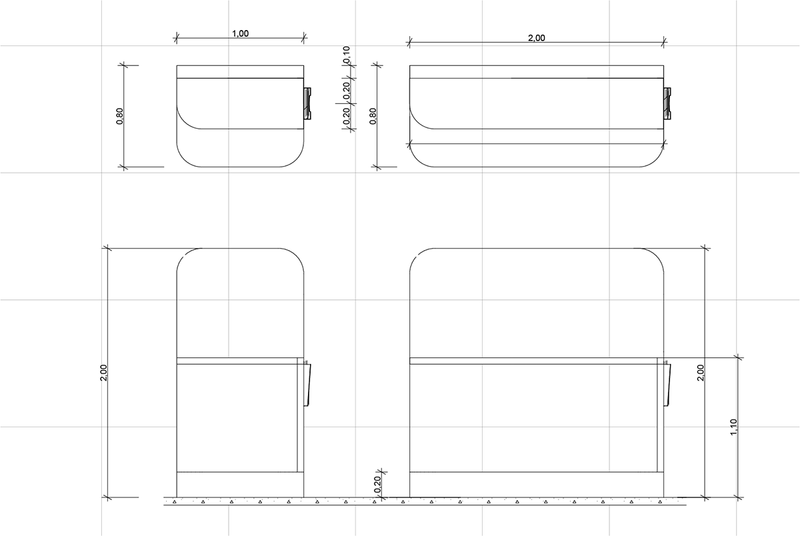 A schematic of both versions with dimensions is shown below.